Our ESSENTIAL OILS, SKIN AND BODY PRODUCTS are independently sourced and constantly changing. The selection depends upon the best current crops and ingredients available at the time. We use a variety of vendors from all over the world to bring you the best quality essential oils. Jule is an Aromatherapist, so she chooses oils very carefully. Essential oils stem from live botanicals grown around the world. Because we like to source the oils from their best native habitats, many things will effect our final stock and price. 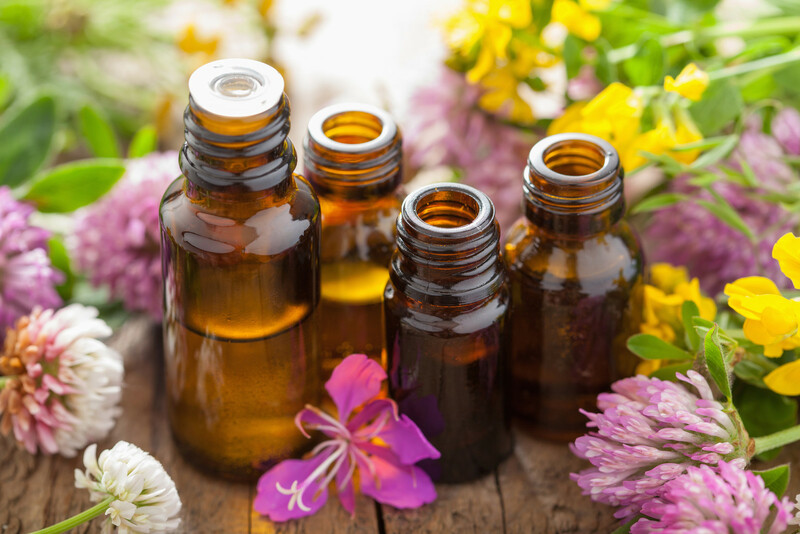 Quality and prices of essential oils can fluctuate depending upon many factors including weather, political and environmental policies, wars , etc. Are they grown in their native habitat if it still exists? How are they extracted? We will NOT use ANY oils if harsh solvent extraction methods have been used. What are the specific compounds in this essential oils? It is important to already have a knowledge of essential oils and understand the chemical makeup common for each plant. This understanding will allow us to see if the oil is 100% the original plant without added constituents. Each vendor must be able to supply us a Gas Chromatography (GC) and Mass Spectrometry (MS) lab test result to verify that the correct chemical makeups are in each essential oil. Understanding these results also tells us the potency of the important active compounds as well as insures no synthetic ingredients were added to the essential oil so we know for sure what we are getting. This is where my 20+ years in this industry comes in handy. We also offer our exclusive and propietary Theraputic Grade Essential Oil Blends for specific healing and restorative properties that are derived from a combination of oils. Below are 6 of our most requested blends. Physical: Promotes quicker healing by bringing oxygen to injured area, increases circulation, helps decrease inflammation. It's antispasmodic, calms nerves and relaxes muscles. Directions: Add several drops to 1 TBSP of your favorite carrier oil and rub directly onto sore muscles, joints and bones. Can be used for immediate cooling effect but may irritate skin. Reapply every 4 to 6 hours for acute pain. Physical: Regulates the flow of vital energy throughout the body. Has pain relieving anti-inflammatory properties. Stimulating to the thymus gland *Do not use if Pregnant* This formula was inspired from a recipe found in Pedanius Dioscorides writings. He was a Greek physician, and a doctor for the Roman Army. Legend says that the Roman Army would bath in this oil prior to any battle to increase their courage and strength. Emotional: Tap into your inner warrior. This oil increases your courage and resolve, inspiring you to be more self empowering. An uplifting oil to the spirit, you'll feel like you can conquer the world. Improves self-esteem and can help balance the body. Directions: Place a few drops on solar plexus or heart chakra areas of the body. Physical: This joyful aroma will instantly uplift the spirits. This formula encourages romance and bliss. Use as a perfume. Wearing this oil you can become a human diffuser because it can help uplift the people around you who smell it. This oil raises your vibration and can help strengthen your aura around negative energy. Emotional: Opens the heart to romance and fun. Tonic for the heart chakra. Improves mood and decreases feelings of depression. Physical: This oil works by calming the nervous system to help the body cope with exhaustion. It has a relaxing effect on nerves and helps regulate dramatic emotional swings which can be characteristic in an exhausted state. Helps enable one to wind down before sleep. Emotional: If you gravitate to this oil it may be time for you to slow down and stop pushing yourself to the limit to get everything done. Directions: Place a few drops on pillow or under nose at night. Dab on inside of wrists & bottom of feet an hour before bed. Ingredients: Boswelia Carteri, Citrus Aurantium, Bergamia, Salvia Sclarea, Anthemis Nobilis, Chamaemulum Nobile, Origanum Marjorana, Vetiveria Zizanoides, Coconut Oil. Physical: This oil has a high spiritual resonance. It offers emotional and spiritual balance and helps create spiritual sensitivity and awareness. It helps create a conducive spiritual environment for prayer and meditation. Emotional: This oil can help bring us to a state where we are more receptive of divine inspiration. It helps bring about clarity and focus when pondering or studying spiritual topics. Helps lift the senses to divine inspirations. Directions: Diffuse before meditation, prayer, or mental focus. Or inhale directly under-nose while exhaling through the mouth several times before deep thought or meditations. Or apply directly to the crown of the head, sides of temples, third eye and/or feet. Physical: This oil works wonders to kill fungus and molds. It was specifically created to treat toe fungus but can also be used diluted as a household cleaner to eradicate fungus and mold...however....THIS IS A HOT OIL!!! Please USE CAUTION and ONLY use WITH a carrier oil when applying to the skin OR YOU WILL BURN YOUR SKIN!!! NEVER apply this oil to ANY SURFACE UNLESS you have tested it to see that it will not change the color or permanently damage the surface. Directions: Always patch test this oil on anything you plan to use it on to make sure it will not burn or destroy the item. For toe fungus: Apply one drop on the top of the nail and use a q-tip to apply another drop under the nail bed. Several weeks of daily application is necessary in order to completely kill all the fungus.